According to the Insurance Institute for Highway Safety, the 2015 Honda Fit (available now at a Central Illinois Honda Dealer near you) is one of the safest vehicles on the road. You see, the IIHS gave the 2015 Fit their 2014 Top Safety Pick award, but it was hard-won. Honda revisited the Fit after initial tests to give you one of the safest small hatchbacks on the road today. 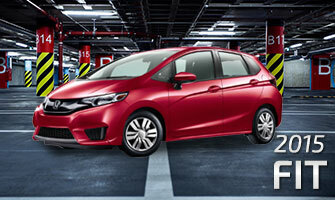 It’s rare that a vehicle starts off as an Insurance Institute for Highway Safety (IIHS) Top Safety Pick at the start of its generation, and the Fit is no different, but while many automakers might just say “better luck next year,” Honda went back to the drawing board immediately to update the Fit’s safety features. The initial Fit scored “good,” the highest score available, in the IIHS’s four main tests, but the Fit only manages a “marginal” on the new small overlap frontal crash test. It would need at least an “acceptable” in order to earn the IIHS Top Safety Pick status. After quick revisions from the engineers and designers of the Fit, the 2015 model earned its Top Safety Pick rating with flying colors, and each and every model on the road today is up to those same strict safety standards! The 2015 Honda Fit is ready and waiting for you at a Central Illinois Honda Dealer; stop by today and let us put you behind the wheel for a test drive. We think you’ll agree that it’s one of the best vehicles in its class.